The newest luxury brand on the market is the Genesis brand, which is an offshoot from the Hyundai brand. 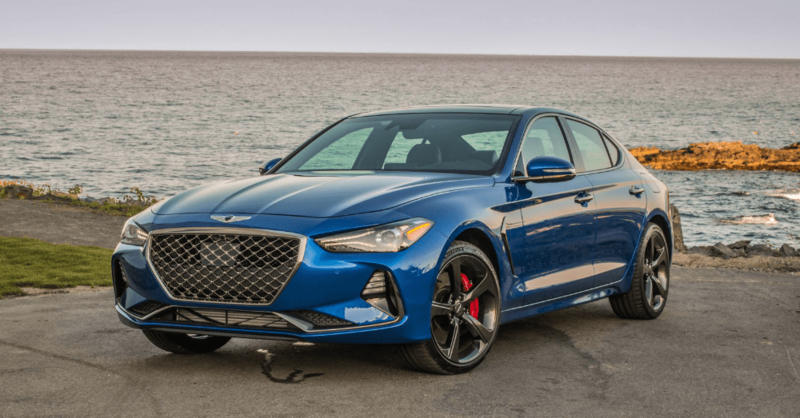 While a pair of models were deleted from the Hyundai lineup to create this new brand, the first model that’s been created specifically for the Genesis brand is the new 2019 Genesis G70. This new model is a sports sedan that offers you the dynamic drive and features that make it an excellent addition to the luxury market. With this new entry into the mix, Genesis is taking the steps forward to be the brand of choice and the G70 is an amazing choice. Not only will you find the fun and active drive of this impressive luxury sports sedan when you choose the Genesis G70, but you’re also going to appreciate the value that rockets it to the top of the class. This car offers you an amazing warranty, the luxury features you want, and the performance to give you the drive that’s perfect for you on the road. This new player in this segment even gives you the choice of a manual transmission to make sure you can have this item if it’s what you’re looking for. The Genesis team understood from the beginning that it was important for them to make a great first impression with the first car that was created for them. When you choose the new Genesis G70 you’re going to have a great vehicle to drive that will make you smile from the first time you get behind the wheel. There’s plenty of power under the hood and the driving dynamics that you expect from a brand with the luxury name of Genesis. Make the right choice and let the Genesis G70 become the car that will give you the driving experience you’re looking for. When you do, you’ll find the Lexicon audio system in this car to give you 15 speakers and 660 watts of sound that make this cabin the right place for you to enjoy the music that you love. You’re going to love the ability to play the higher resolution FLAC files to enjoy the audio quality that makes you happy when you get behind the wheel of this car and take it for a drive. Have you been denying yourself the joys of driving a luxury vehicle? Do you want to have the experience of a great drive in a vehicle that has the features and performance you want? Take a look at the new 2019 Genesis G70 and let this car become the one that you take on the road to have the drive you’ve been looking for. This is a car that brings you the features you want and an amazing ride. Visit your nearby Genesis dealership and start the drive in the car that will put a smile on your face today.